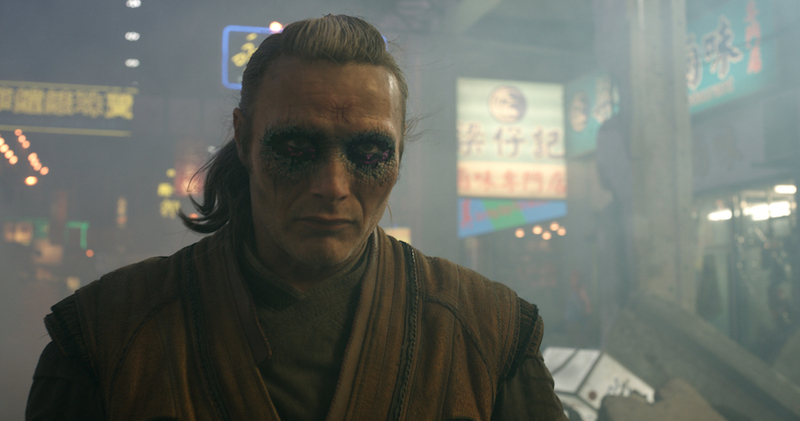 Who is Mads Mikkelsen and why is he in a Marvel and Star Wars film this year?? Because he's crazy "mads" of a talent! When you see “Rogue One” this Thursday, you’ll probably pick out a face amongst the relatively little known cast. It’s this guy seen above. But who exactly is he? He’s been in Disney’s biggest franchise-making movie machines, so clearly he’s qualified. He’s actually a jack of all trades. Mikkelsen also knows Swedish fluently and is considered to be the “sexiest man” in that European region. He moved to Toronto, Canada and currently resides there with his wife and children. The Danish actor was a gymnast and ballet dancer before he became an actor about 20 years ago. He’s been in films with varying degrees of popularity including Jerry Bruckheimer’s “King Arthur” and the 007 James Bond film “Casino Royale.” In each role, he’s been hailed as a great character actor who loves being able to take on new challenges. His newest challenge is joining the Star Wars family in “Rogue One” playing Galen Erso, the father of the main protagonist Jyn Erso, played by Felicity Jones. (And no, we won’t giveaway who he is or what role he plays in the film). We can say, however, he does play a fatherly figure well. “Rogue One” hits theaters on Friday. Read our spoiler-free review on the film HERE.